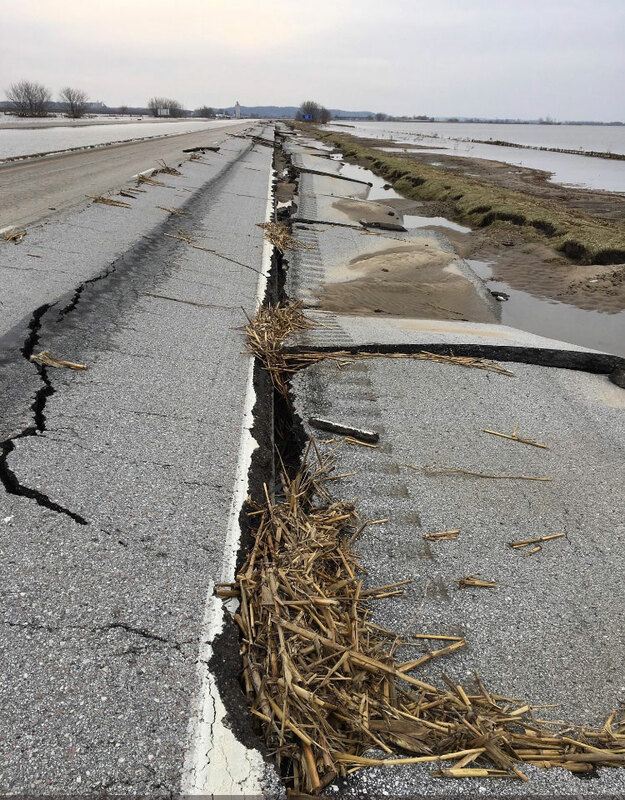 Photo by State Trooper Scott Miller on Interstate 29 at mile marker 3 in southwest Iowa. 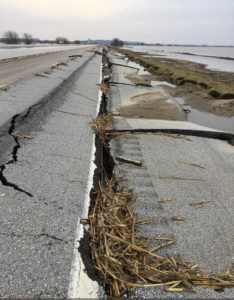 The Iowa Department of Transportation is soon going to being taking bids on some of the flood repair projects. DOT Engineer Mark Dunn talked with the Transportation Commission about the issue during a work session prior to their meeting today in Ames. “As you look at all of the repairs, the total package is around, we think 70 to 90 million dollars,” Dunn says. He says they hope to start taking bids on Wednesday and he says they will be doing emergency lettings weekly, and may not always have projects ready weekly, but will be ready to do them when necessary. Dunn say the goal is to do as much work as they can in the next 180 days to take advantage of the federal emergency funding guidelines. “In the first 180 days where it is related to restoring essential traffic — that’s remimbursable at a rate of 100 percent,” Dunn says. “When we move beyond that, that’s reimbursable at 80 or 90 percent, depending on the type of roadway,” Dunn says. He told the Transportation Commission the work should not impact their regular construction budget.